Eskdalemuir Parish Church lies in a verdant rural valley next to the river Esk , 13 miles north of Langholm. Eskdalemuir is well known for its Meteorogical Station and the Samye Ling Monastery & Tibetan Centre. 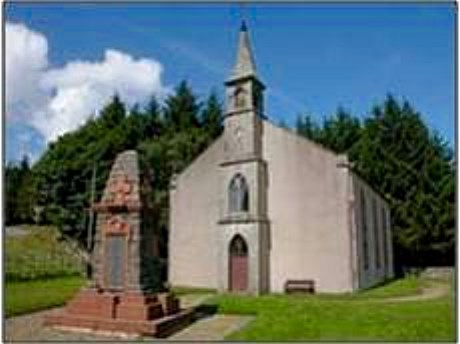 Built in 1826 , Eskdalemuir Church has a small but regular attendance who worship at services held at 12.45 pm on the second Sunday of the month during the months of April - October with additional services for Remembrance and Christmas.